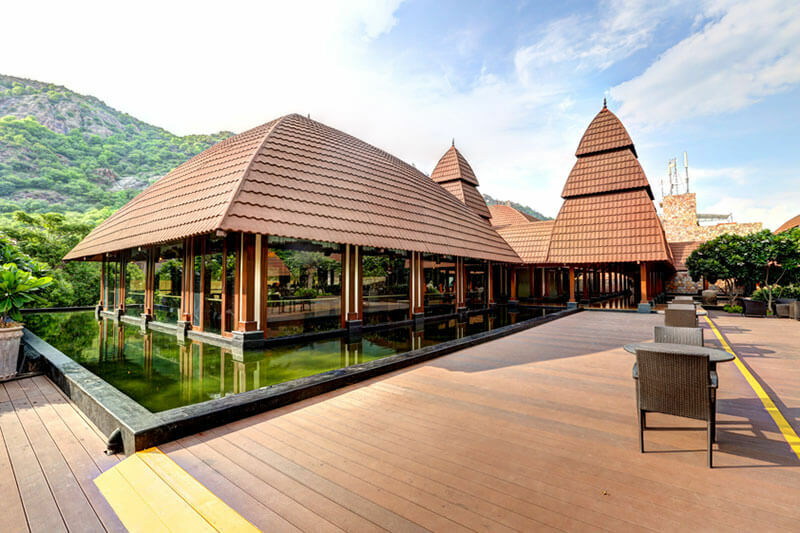 This mesmerizing hotel, situated in the city of Lakes, promises a calming atmosphere making it a perfect wedding destination. 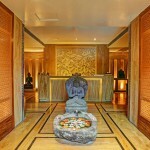 Ananta Spa & Resort covers the land of 40 Acres is a hilltop splendid abode in the Udaipur city. 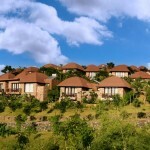 This Hotel is placed in hills having highest peak 150 meters, from where the guests can best enjoy the scenic sites. 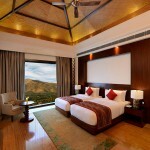 The site offers beautiful view of Sajjan Garh Palace, which is now known as Monsoon Palace. 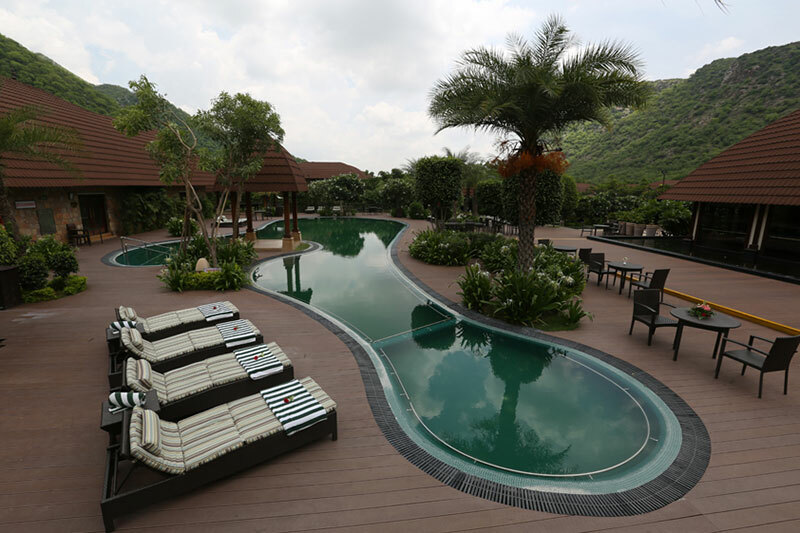 Located 7km away from Udaipur, it is at a distance of 10.1 km from the Udaipur Railway Station and 30.5km from Maharana Pratap Airport.The hotel offers the best services and makes the guests feel extremely special providing high class amenities. 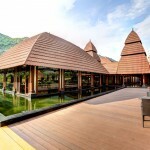 On-site facilities offered by Ananta is bound to satisfy every of the guest, and the pleasant vibe of the place is replicated in each of it’s rooms. 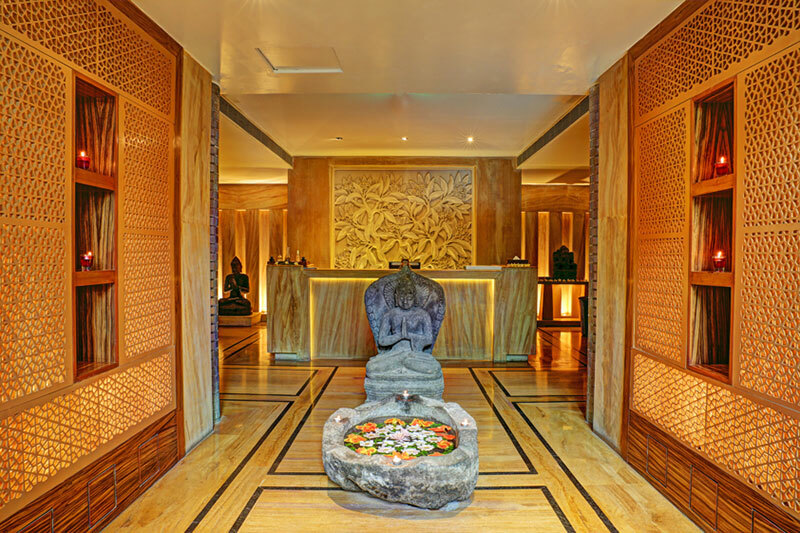 Facilities like daily newspaper, ironing, television LCD/plasma screen, in room safe, hair dryer can be enjoyed, along with splendid recreational facilities like library, gym, massage centre, meditation centre and yoga classes. 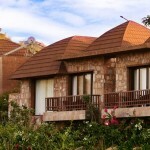 The hotel offers posh and well equipped 158 operational rooms. 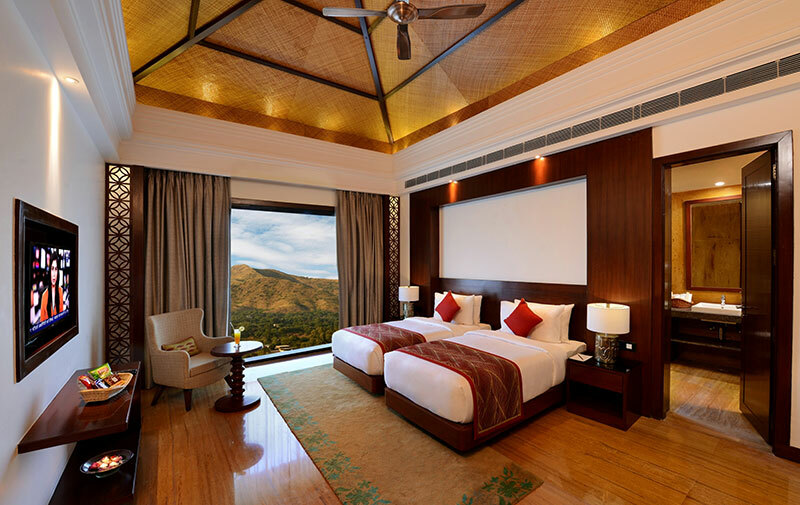 The ambience of each room is captivating and the rich wooden flooring gives it an authentic touch. It’s facilities like the walk-in-closet, open-to-sky bathrooms, open showers and courtyard balconies which sets this hotel apart. 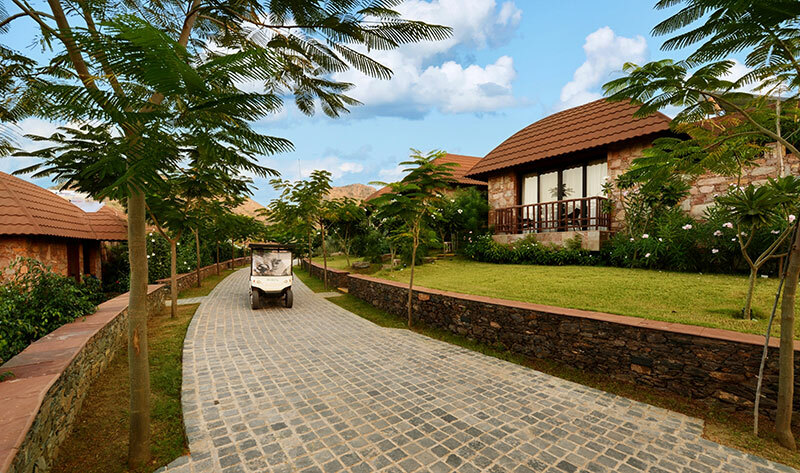 Wedding at Ananta Spa & Resort is a peaceful affair, with Mother Nature showering it’s blessings on you and with the luxurious treatment they provide you with, any couple is bound to feel blessed. 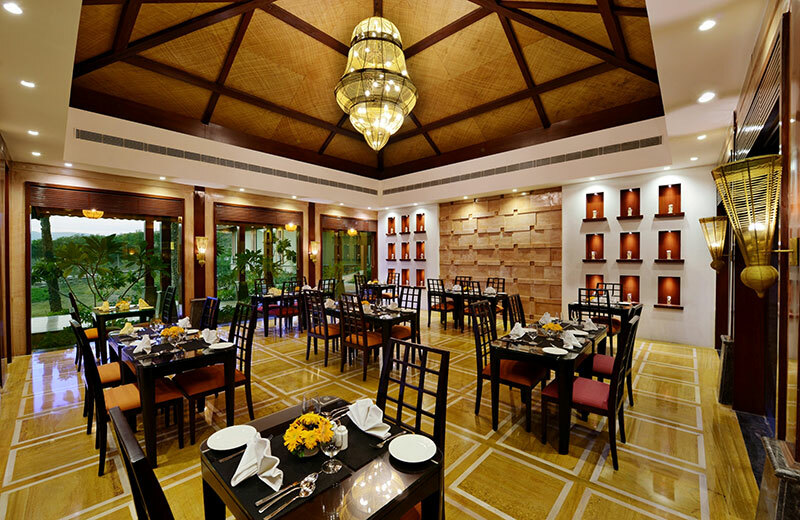 STARTING COST PER PLATE: Rs1250 for vegetarian meal and Rs1500 for a non-vegetarian meal. 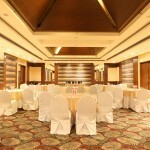 Aravalli Banquet Hall- Spread over 15400 sq ft this venue can hold up to 1500 guests comfortably. 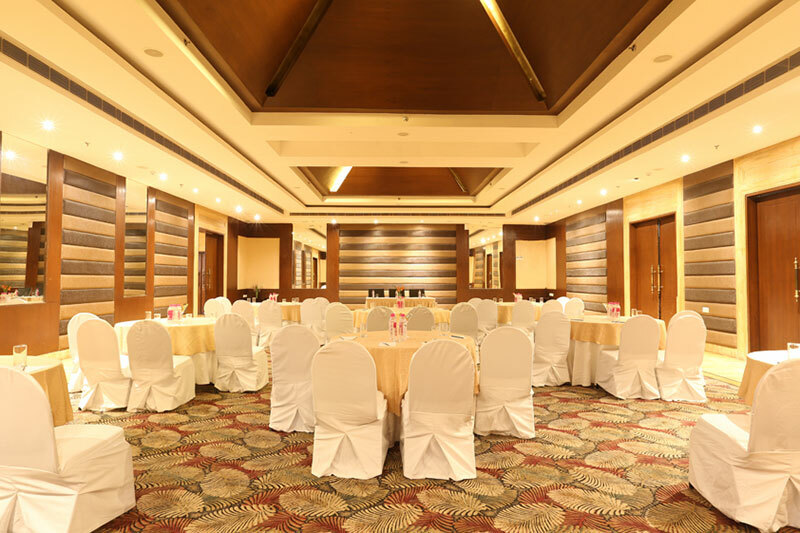 It is a well ventilated hall and provides you with all the facilities desired for your event. 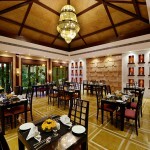 Oasis Restaurant- Oasis, the multi cuisine, 92 seat restaurant owns a pride in the resort. Talented chef’s make the most elaborate and delicious cuisines of the world. 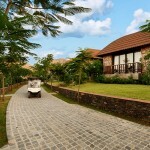 It takes up an area of 5000 sq ft and can hold 100-120 guests. Aravalli Lawn- Covering an area of 15000 sq ft and with a capacity of 1500 guests, holding your wedding at this venue is an experience of magnificence. 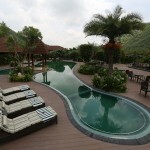 Pool deck- A small venue by the side of the pool with an area of 4000 sq ft and a capacity of 100-150 guests. It is ideal for cocktail parties.